Do you feel as if your furnace is working too hard to keep your home warm? Or, maybe you’ve noticed a jump in your bill during the winter? 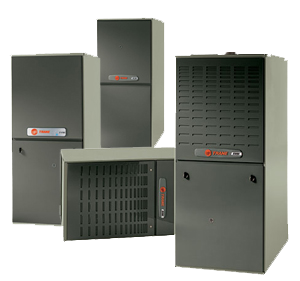 If you’re dealing with one, both, or other issues, you are going to want the experts to come in and determine if you need to put in a new furnace. Lucky for you, we install forced air furnaces, heat pumps, boilers, and radiant floor heating systems. It’s better to have options when choosing your products and we’re proud to carry a number of leading manufacturers such as Trane, Lennox, Goodman, Weil McLain, and Burnham. We want you to know that when you purchase a heating system from Stryker, you have purchased the most advanced equipment currently offered in the industry. In addtion to being top of the line, we strive to offer energy efficient options as weel. Our professional installation and great products will function and look the way you hoped and expeted them to. We’re not just here to do a job and say goodbye. Your home comfort and air quality are important to us. So, for your and our peace of mind, we will back your new product and installation up with one of the best service organizations in the area and keep tabs on your new or current systems.